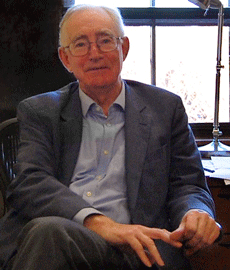 Professor Sir Tony Atkinson was an academic economist particularly concerned with issues of social justice and the design of public policy. He has been writing on economics since the 1960s, when his first book was on poverty in Britain and his second on the unequal distribution of wealth. Together with Joe Stiglitz he wrote Lectures in Public Economics. His late work focused on top incomes, contributing to the World Wealth and Income Database, and on monitoring rising inequality across the world. This site gives an overview of his academic work. Professor Atkinson was a researcher in economics and focused on the economics of income distribution and poverty. The Economic and Labour Relations Review published an entire ‘Symposium on inequality in honour of Tony Atkinson‘ in March 2018. A table of contents is here.